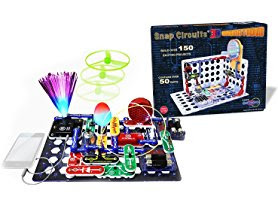 Run over to Woot.com because today only these Elenco Snap Circuits Sets start at $34.99 (Reg. $64.99+)! These are always a hit for gifts! Offer valid 6/11 only and while supplies last. Shipping is FREE for Amazon Prime Members or only $5 flat rate.